Finding the right hair color is not as easy as you’d think. While some colors look perfect in pictures, sometimes they aren’t executed as planned IRL. Choosing a hair color that compliments your skin tone is a major “make it or break it” aspect of your style, so I can’t emphasize the importance of finding a tone-friendly hair color enough. For darker skin tones, finding a hair color that compliments your skin tone requires some deep thought. Undertones, seasonal trends, and lighting are just a few of the many factors that come into play, turning your monthly coloring session into a science experiment of sorts. As a rule of thumb, many women prefer going for safer brunette hues, which tend to compliment darker skin tones. But there are many blonde, red, and even poppin’ colors like purple that suit deep skin tones. 1. Always keep your undertone in mind: Basically, your undertones are either warm, cool, or neutral. Pairing your hair color with your skin’s undertones can go south really quickly when not executed properly, so don’t venture too close from your skin’s undertones. Taking the “opposites attract” method with your hair and skin is a great way to make both of them stand out and seem more vibrant, whereas the same undertones can lead to a washed-out look. As for neutral skin undertones, you’re part of the lucky bunch that can dip into either ends of the undertone spectrum. If you’re having trouble identifying your undertones, just take a look at your wrists: if you if your veins are blue or purple, you’re probably cool-toned, whereas warmer tones have greener veins. 2. Always color test in a well-lit room: This may seem like a no-brainer, but if you’re trying to figure out your next hair color in a dim-lit room, it most likely won’t go well. Your skin looks drastically different under different types of lighting, so you should always test out a color in a well-lit room. Try finding a space with large windows or natural lighting to compare and contrast hair color swatches against your skin. Now that you have some insight on how to find your best color, it’s time to finally get to dying your locks. Whether you’re sitting in the salon chair or reaching for the box dye, these fool-proof tips will help you achieve the perfect color for your tone. But if you need some color inspiration, I got your back. Below, here are some of the hottest trending fall hair color ideas for dark skin tones. Enhance your style by trying one of these fall hair color ideas for dark skin tones. A soft ombre — a.k.a. the sombre — is a fabulous way to create a multidimensional look for the fall season. This delectable swirl of off-black roots paired with caramel ends creates a cool color gradient that will easily satisfy your color cravings. This is one of the safer looks for fall, as these natural-toned colors are popular for complimenting most darker skin tones. To create these luscious, frizz-free curls, try using a curl cream when styling to define and smoothen your natural curly hair. One of my favorite curl creams is this one from VERB for its weightless, strand-taming formula. If you’re into dark and dramatic hair colors, then nothing compares to jet black hair. This color is as dark as can be, and is one of the most universal hair hues for all skin tones. It’s a great way to join the dark side for the colder months, and always creates a refreshing look for anyone who’s sick of lighter hair colors. One of the biggest concerns about dying hair black is fading from washing, so ALWAYS use products that are color-safe, especially in the shower. 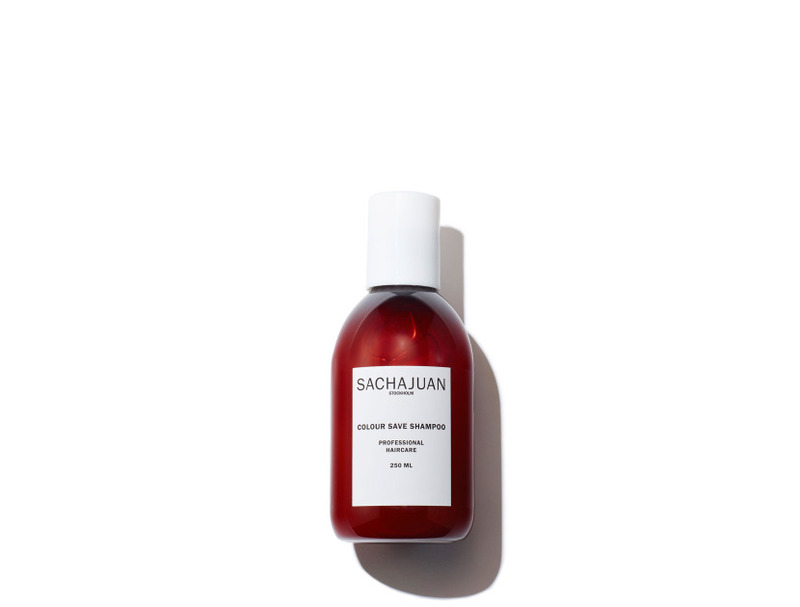 One of the best color-friendly shampoos on the market is this one from SACHAJUAN. Need something a little more vibrant? Then add a pop of color to your hair while staying on trend for fall with this deep purple hue. It’s a beautiful color for adding an edge to your everyday look, but still stays subtle and sophisticated through the tint-like color. The dark, plum hue makes this a fitting choice for any fall hairstyle. One thing we’re all too familiar with is the lackluster look our strands tend to have after getting dyed. To bring the life and shine back into your strands, use a gloss serum or hair oil. One of my favorite hair glosses is this one from Aveda. Yes, there is a way for darker skin tones to rock red hair! This auburn shade is the perfect fusion of red and brown shades, making it the perfect pick for those of you seeking a warmer toned style for the fall season. It stays perfectly on the autumn aesthetic for it’s warm, toasty color that’s reminiscent of the falling leaves and crackling fireplaces. If you’re going for a protective style like the one above, make sure you keep your hair in check by using a deeply nourishing hair mask. 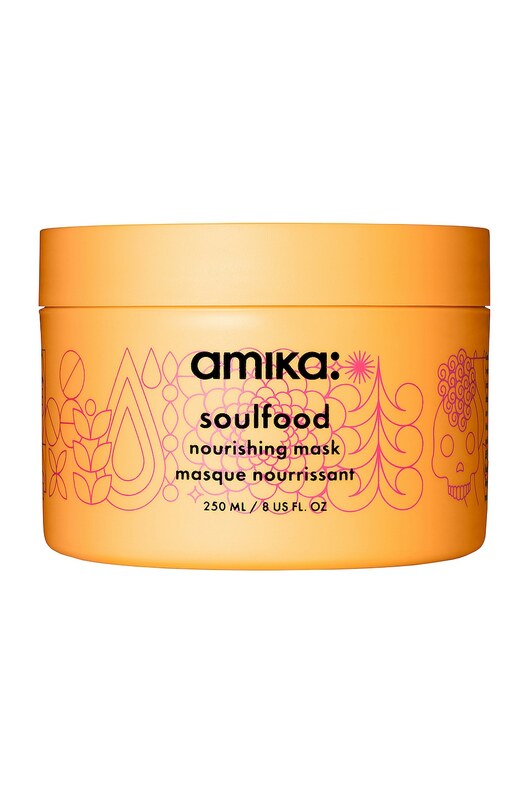 Maintain your look while fortifying your strands by using this fan-favorite hair mask from amika. Create a swirl of fun. fabulous colors by mixing your favorite sorbet colors into your hair. This vibrant set of strands is great for those of you who’d rather go lighter, without washing our your skin tone. Going for warmer colors enhances your dark skin tone’s radiance, creating a bright, sun-kissed look even in the dead of autumn’s coldest nights. I love this quirky color combo when it’s paired with a textured pixie. For those of you who want to go the shorter route, this style is the perfect way to do so. To create this stand-out look, use a texturizing spray to get that “I woke up like this” finish. My top texturizing pick: this lightweight spray from R+Co. Who ever said silver hues are reserved for paler skin tones? Literally no one, and for good reason: this silver shade creates a beautiful contrast against darker, warm-toned skin colors. If you’re someone who likes to make a statement with your hairstyles, then this is the shade for you. When it comes to maintaining cool-toned blonde colors, we all know that using purple shampoo is key to keeping brassiness at bay. But, if the shampoo isn’t doing your new color justice, then these anti-brass drops from IGK are just the trick. They’re purple-pigmented to give your strands a dose of cool tones, and can be mixed with any of your styling products for a customized approach to your hair care routine. Another red-head pick, this copper tones is the perfect fusion of brown and auburn shades. It’s a more manageable, natural tone to pick for the fall season, and fits into the autumn aesthetic seamlessly. Is your new hair hue starting to fade? Then revamp and lengthen the life of your tone with these color-bossting drops from Oribe. Fueled with an intensive dose of antioxidants, these drops nourish your color-treated strands while protecting them from pollution and UV-related damage. Try sipping on this color all season long. This trending color is a universal pick that works for every skin tone, and it’s a fun play on the average brown hue. The hints of espresso and caramel colors created an enticing look that we’ll easily take a shot of. This hair color with waves is a match made in Hair Heaven. But, waves aren’t an easy fete to create — well, until this spray from Ouai came along. It miraculously transforms your strands into luscious, silky beach waves, creating a casual style that still stays polished and chic.